Home Cornwall	Our ‘Best of Britain Summer Challenge’ is Learn to Surf! 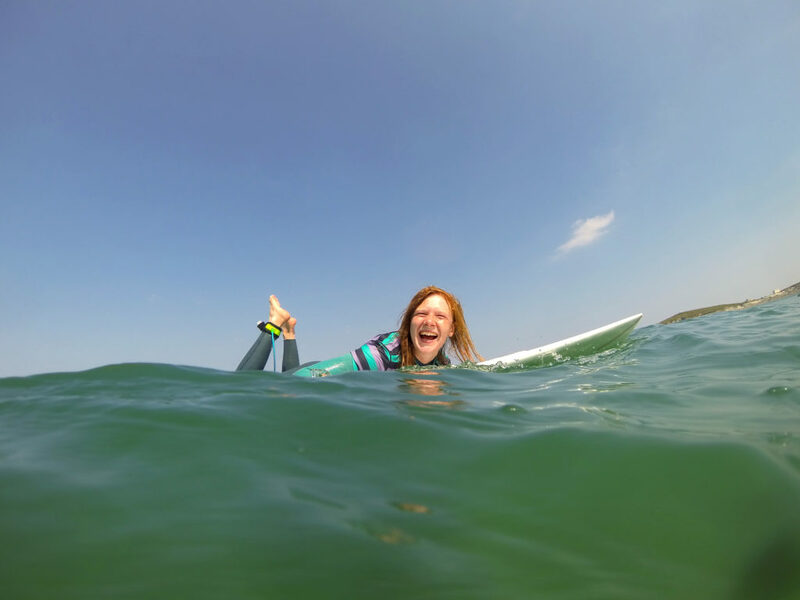 Our ‘Best of Britain Summer Challenge’ is Learn to Surf! Surf Sistas are really excited to be participating in the Cotton Traders ‘Best of Britain: Summer Challenge’ this year! Cotton Traders are encouraging the nation to get outdoors this summer and enjoy our fantastic British countryside, check out their summer challenge calendar for heaps of exciting ideas. Our Summer challenge to you is to learn to surf! We think August is the perfect time for beginner surfers in the UK, the weather is warm, the waves are mellow, evenings are long (perfect for sunset apres-surf) and our beautiful beaches are the only place to be! Surfing is a great activity for the whole family, young and old, everyone can give it a go, and those that don’t want to get wet can watch all the action while they relax on the shore. We have two beginner surf weekends to choose from in August, one in the UK’s surfing mecca; Newquay, Cornwall. The other in the village of Llangennith on Wales’ stunning Gower Peninsula. Newquay is the beating heart of the UK’s surfing scene, and its no wonder with 5 surfing beaches all within an easy walk of the town centre, beautiful coastal walks, an array of fantastic cafes and restaurants, plenty of family friendly entertainment and a vibrant nightlife for those that seek it. We find the sleepy oasis of Llangennith at the Northern end of Rhossili Bay on the Gower. You will find everything you need here for a relaxing family beach weekend; a stunning beach, a campsite with great facilities right behind the sand dunes, boutique B&B’s, a lively village pub, a surf shop with good banter, a beach cafe and some incredible views across to worm head. Both of our Surf Sistas weekends include full beginner surf coaching with our friendly and professional Surf Sistas instructors. They will take you through the basics from water safety, to feeling comfortable paddling your board, to catching waves and riding your first waves. Come on your own or with friends, you will find a friendly group of like minded women to celebrate your waves and laugh about your wipeouts with. Falling off is all part of the fun! We invite everyone on the weekend to join us for dinner at one of our favourite local eateries on the Saturday night so its a really sociable weekend for everyone! Our Cornwall trips include accommodation and return transport from London, and for our Wales weekends we are on hand to help you find suitable places to stay and work out your travel plans. We love surfing, its great fun and a healthy addiction and we can’t wait to share it with you! If you have surfed before or are bringing a friend who already has some surfing experience then check out our improver weekends which run alongside our beginner sessions each month. Don’t quit your daydream ..